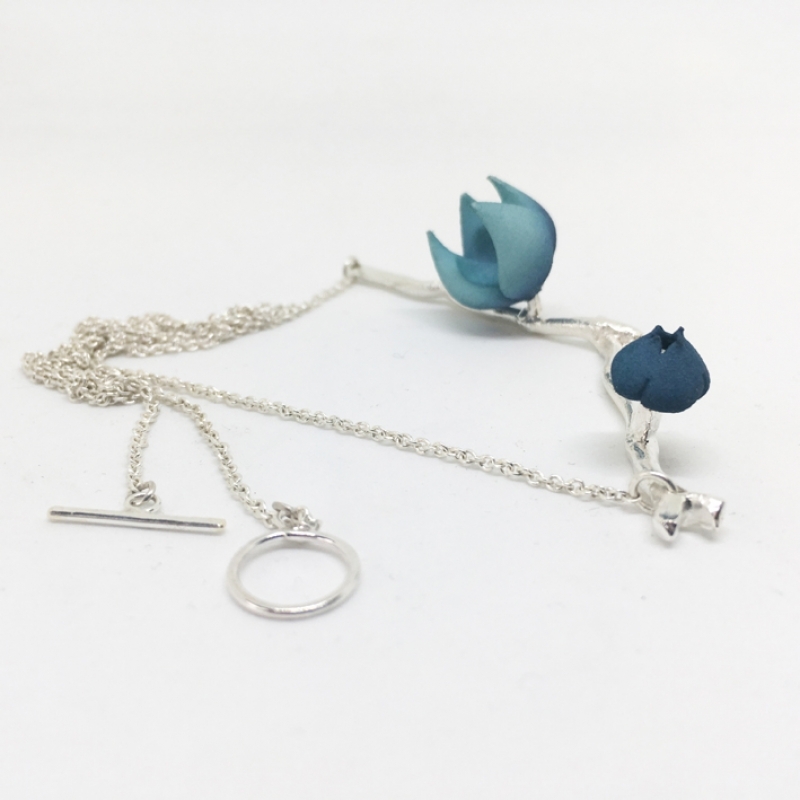 The Bloom necklace is a floral themed asymmetrical neck piece realised through the use of wax carving and rapid prototyping. 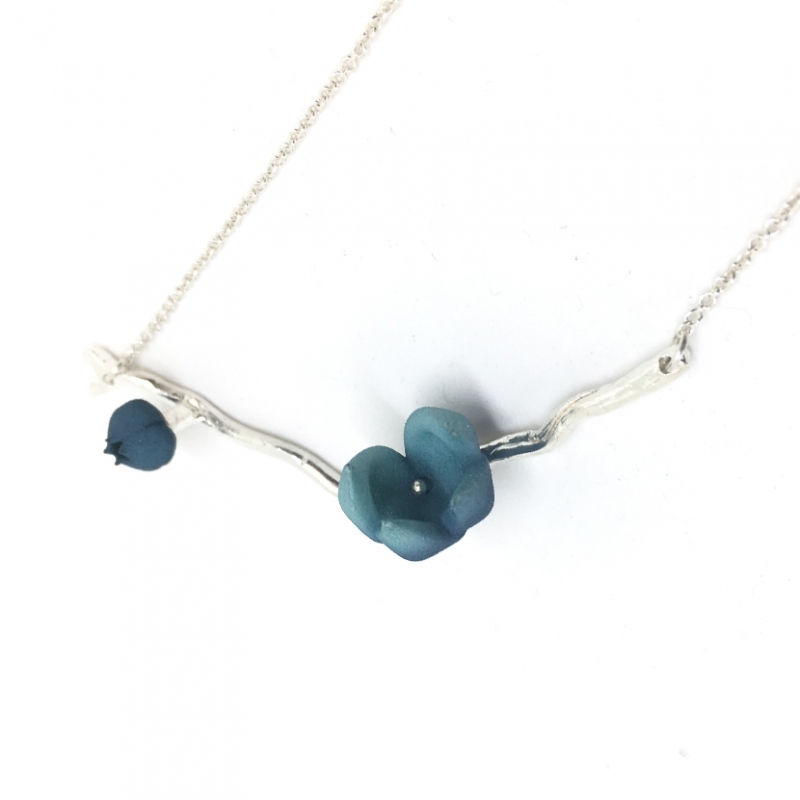 The branch is made of polished sterling silver and the flowers are 3D printed hand dyed nylon. The vibrant colours of the flower contrast with the glossy silver, giving this piece a dramatic twist. The Bloom series is inspired by childhood memories and a child's irresistible curiosity to squeeze a flower pod before its time, even at the cost of killing the bud.